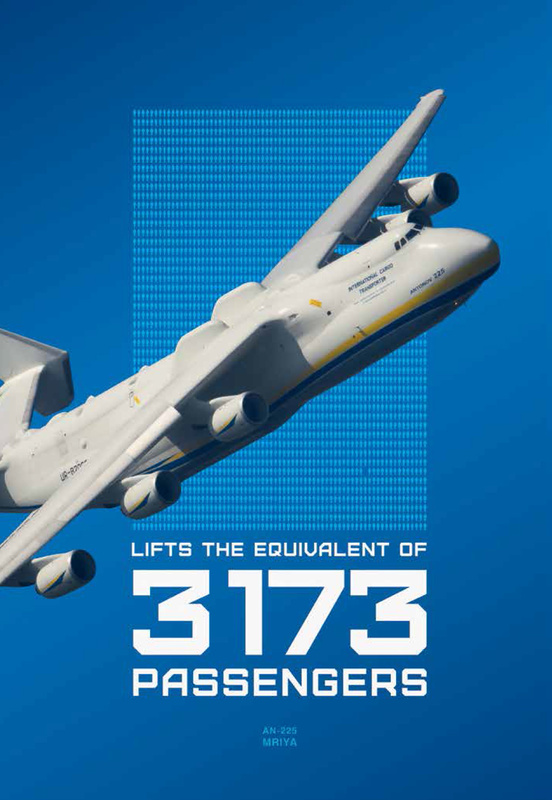 Antonov‑225 Mriya is the world’s largest commercial plane, and the heaviest aircraft in the world. In March 1989, in one flight with a maximum takeoff weight of more than 500,000 kg (1.1 million pounds), the airplane set 106 world records, as well as records for the aircraft of this class. It was created between 1985‑1988 by Oleh Antonov Aircraft Design Bureau in Kyiv, Ukraine. Designed for the needs of the Soviet space program, it transported the Soviet space shuttle “Buran” on its fuselage. Since 2002, it has been used for commercial transportation.